Have you ever thought of creating clothes from interior textiles with themes echoing to your living room? How about holding a interior design + fashion show in a “forgotten space” in the center of a city? 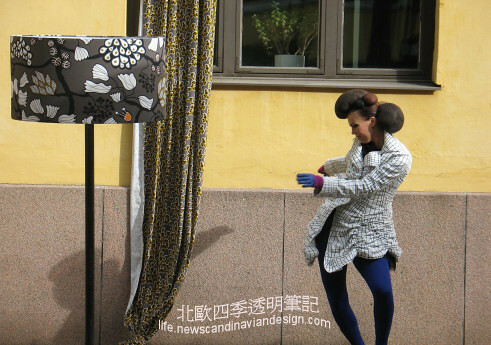 This was what happened during the Helsinki Design Week 2007: several young Finnish fashion designers co-operated with Ikea Finland and City of Helsinki to create an unique concept of “fashion show” at the inner yard of Helsinki city government, which was an very unique space in the very center of the city, but had been long “forgotten” by the majority of citizens. We went there to have a look and really enjoyed it. It was exactly the unusual combination of fashion, design, and space that made the event so interesting!